Prescott National Forest, Watson and Willow Lakes are ideal places to visit with an RV. 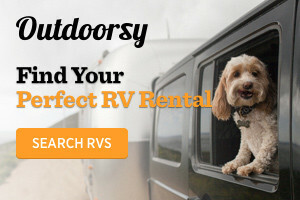 Rent locally owned affordable RVs perfect for your adventure! With 3 locations in Northern Arizona, Affinity RV offers a variety of Class A and C RVs, as well as travel trailers, for rent. Located in Phoenix, Arizona and easily accessible from the PHX Airport, Back Roads offers a variety of Class A, B, and C RV rentals, travel trailers, and toy haulers. Located near the Phoenix Airport (PHX), take your pick from a huge inventory of RVs and Trailers, equipped for your Southwestern Adventure. Take your pick from a nice inventory of Class A and C RV rentals from this independent rv rental business. Two convenient locations in Colorado Springs CO and Phoenix AZ. Many Trails RV offers new and used RVs, as well as RV service and parts. If you're needing something, chances are they have it. Based in Mesa, Arizona, just outside of Phoenix, this independent RV rental company offers a large variety of Class A, Class C, and travel trailers for rent.